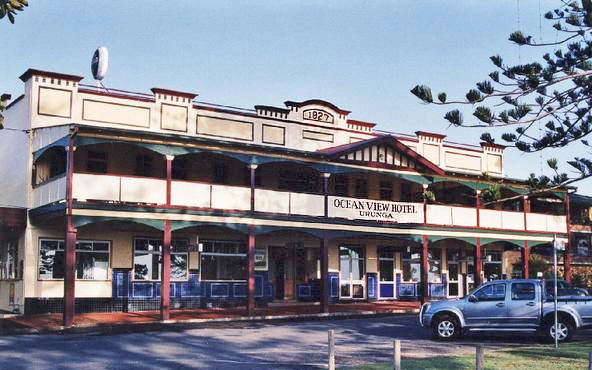 Well-known publican Stephen Hunt has bought the Ocean View Hotel in an impulse deal that saw him prepare and take over the pub in just three days. Heading to Coffs Harbour with his boys for a rugby carnival, Hunt got a surprise call from the freehold owner of a pub he had previously looked at in Urunga, just 20 minutes south of Coffs. This was late on a Thursday, and Hunt immediately began considering how he could get the finances, as well as essentials such as EFTPOS, the ATM and TAB together, with just one working day in hand before the potential takeover. Gleeson’s father built the Ocean View Hotel in the 20s, and Gleeson had been in final stages of selling a new lease to a husband and wife team, but “complications” saw this arrangement fall through last-minute. Gleeson knew he was headed to the area and appealed to Hunt’s sense of enterprise, the Central Coast-based publican having a reputation as a motivated operator on the rise, last year buying Newcastle’s big Duke of Wellington. But Hunt says the greatest appeal for him was the region, with its pristine beaches, crystal-clear water and temperate weather, and the Ocean View literally overlooking the Bellinger River where it meets the Pacific. After some string-pulling and help from the incumbent, everything including a new corporate entity was arranged by Monday, and trading began under the new ownership. Twenty years ago, Hunt met his now wife through backpacker Kris Gladwell, who worked for him at Chippendale’s former Thurles Castle. Two years later, Gladwell met his now wife at Hunt’s wedding. The trusted long-time employee has now taken on the Ocean View challenge, moving to Urunga with wife and new baby Rosy to live onsite and run it. “He was my GM at the Kent for many years, then ops manager, then this opportunity came up and he was pretty happy to go,” explains Hunt, who jokes Gladwell will always be in his debt for that introduction in 1997. The pair are hoping to inject some SJH Hospitality into the fishing town, with plans for a minor renovation including an upgraded gaming room, as well as new menu offerings and a marketing campaign to kick off the fresh image. Beginning on a five-year lease he hopes to keep “for a long time”, Hunt, now holding five properties, says he is never really out of the market. And he denies any accusations he is engineering his own sea-change north.